A tribute to the Corvette’s first race in the 24 Hours of LeMans. June 1960 – American racing icon Briggs Cunningham brings three white corvettes to participate in the legendary 24 Hours of LeMans endurance race. Of the four Corvettes entered in the race one finishes eight overall and fifth in the GT class, proving to the world that the Corvette was a sports car to be reckoned with. Built with the idea of incorporating technology developed at the racetrack to sports cars on the street, the new Z06 Carbon Limited Edition is a more dynamic Corvette that pays tribute to the first Corvettes entered in the 24 Hours of LeMans. 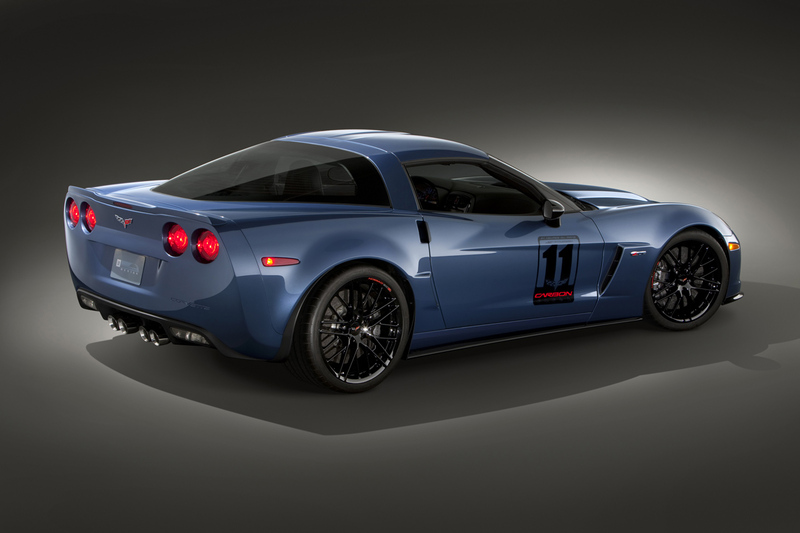 The Z06 Carbon will feature numerous carbon fiber body modifications to reduce weight and improve aerodynamics. At the rear a body colored ZR1 style spoiler is fitted, while a black carbon fiber splitter and rocker panels reduce drag. Differentiating the Carbon Edition from the base Z06 model are body colored door handles along with intimidating black headlamps and mirrors. A carbon fiber raised hood is fitted with a carbon fiber engine cover to further reduce weight. Two colors will be available with the Carbon Edition: Orange Inferno and Supersonic Blue. Customers can also install racing numbers for track use. Power is reflected through the 20-spoke black wheels, shod in Michelin PS2 rubber. The wheels measure 19 inches at the front and 20 at the rear, with enormous ZR1 brakes. The carbon ceramic Brembo brakes feature dark gray metallic calipers and provide the Z06 Carbon with merciless stopping power. The Magnetic Selective Ride Control from the ZR1 is also fitted for greater handling dynamics. These dynamic upgrades will allow the Carbon Edition Z06 to produce lap times at technical tracks “up to three seconds off the Z06 lap time” according to Chief Corvette engineer Tadge Juechter. The Carbon Edition Z06 will feature a unique interior of select leather and suede. Ebony leather is contrasted by blue or orange stitching to match the exterior paint. Suede adorns the steering wheel, gearshifter, doors, and armrests for a luxurious feel. The sill plates, steering wheel, and headrests feature a new logo that is unique to the Carbon Edition Z06. Along with the Carbon Edition, the Z07 performance package and CFZ Z06 carbon fiber package will be available on the Corvette Z06. The Z07 performance package features Competition Gray 20-spoke wheels, suspension and cooling upgrades, as well as the mechanical upgrades introduced on the Carbon Edition. The CFZ Z06 package will include black carbon fiber rockers, splitter, roof panel, and full body color spoiler. 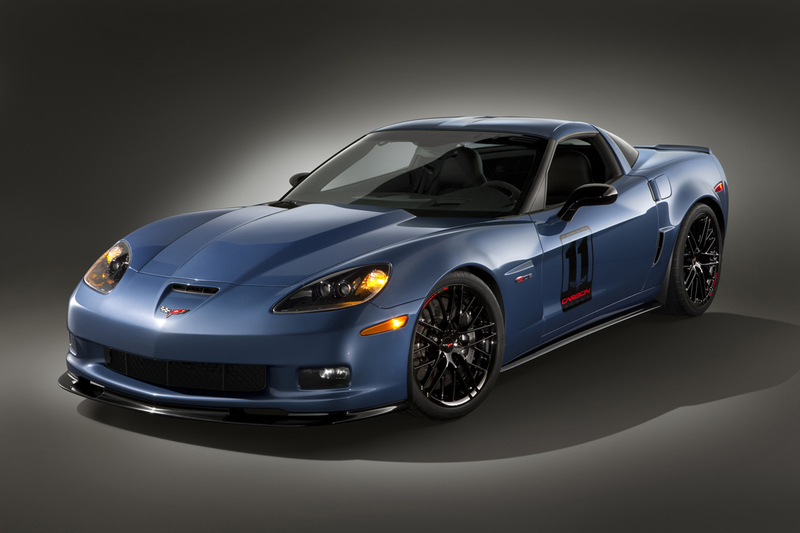 The ZCF package can be purchased with or without the Z07 performance package on Z06 models. Production of the Carbon Edition Z06 will be limited to just 500 examples and will be available as a 2011 model in the late summer. Both the Z07 and CFZ packages will also be made available late summer.